This newsletter summarizes the initiatives and accomplishments of the New York State Assembly Standing Committee on Environmental Conservation in the past few months. Each citizen in New York has an interdependent relationship with the environment. We thrive and grow from the environment’s natural treasures, and simultaneously impact the earth’s health with our actions. My efforts as the Chair of the Committee on Environmental Conservation have been guided by this belief. I will continue to work to ensure a healthy environment for today’s New Yorkers and future generations. New York, like the rest of the country, is currently facing financial difficulties as a result of the worldwide recession.The Assembly maintained its commitment to the environment and provided $222 million in funding for the Environmental Protection Fund. Categories that received funding included: $24 million for waterfront revitalization, $21 million for municipal parks, $60 million for land acquisition and $9 million for zoos, botanical gardens and aquaria. The existing Bottle Bill law, which applied to carbonated beverages and beer, was expanded to include water bottles. In addition, in order to make it easier for consumers to return empty containers, reverse vending machines would be required in chain stores over 40,000 square feet in size. Costs related to the development of redemption centers would be eligible to receive funding from the recycling category of the Environmental Protection Fund. A lawsuit initiated by the International Bottled Water Association and Nestle Waters North America has resulted in an injunction delaying the implementation of the bill. The Budget increased the fees for air pollution by increasing the cost for emissions of certain pollutants over 1,000 tons. Assemblyman Robert Sweeney discussing the need to prohibit Bisphenol A, a carcinogen and estrogen mimic, in children’s products such as sippy cups and toys. The legislation (A.6919-B Englebright) recently passed the Assembly and is currently before the Senate. Emissions Cap: This legislation (A.7572 Sweeney) would require the Department of Environmental Conservation (DEC) to establish a cap on greenhouse gas emissions at 1990 levels and to reduce emissions 80 percent by 2050. The cap would include all emission sources associated with fossil fuels, including oil refineries, oil storage and natural gas pipelines. This legislation passed the Assembly, but the Senate has not yet taken action. Regional Greenhouse Gas Initiative Funding: This legislation (A.6321 Sweeney and A.7017 Gianaris) would require that State funds raised from the Regional Greenhouse Gas Initiative (RGGI) be used to promote energy efficiency, enhance the State’s air quality and develop clean, renewable sources of energy. This legislation passed the Assembly, but the Senate has not yet taken action. The Environmental Protection Agency estimates that there were approximately 1.2 billion pounds of electronic equipment sold in the United States in 2004. As new devices are purchased, the replaced equipment frequently ends up in landfills where its chemical components, including mercury, lead and cadmium, can contribute to pollution. This legislation (A.9049 Sweeney) would establish an electronic equipment recycling and reuse program to allow consumers to return unwanted electronic devices to manufacturers for reuse or recycling.Manufacturers of electronic equipment, including computers, televisions, printers, keyboards, portable digital music players, video cassette recorders, digital video players, electronic game consoles and any cables, cords or wiring are covered under the act. The disposal of devices would be free for consumers. Manufacturers would be required to collect a minimum amount of waste based on the State’s reuse or recycling goal, initially determined on a per capita basis, beginning in July 2010. 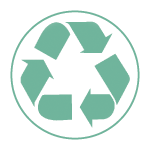 In July 2013, each manufacturer would be assigned a share of the statewide reuse or recycling goal based on the collection rate of the preceding three years. Each manufacturer’s share would be determined by their market share of sales. This legislation passed the Assembly, but the Senate has not yet taken action. Wetlands act as natural water filters, absorbing pollutants, pesticides, nitrogen, phosphorus and other contaminants before they infiltrate drinking water. Additionally, wetlands absorb flood waters and serve as buffers during storms, saving billions of dollars in property damage annually. This legislation (A.6363 Sweeney) would strengthen and enhance the State’s wetland protection laws by expanding the Department of Environmental Conservation’s (DEC) regulatory jurisdiction. The current law restricts DEC’s oversight of wetlands to areas that exceed 12.4 acres.This legislation would authorize DEC to oversee wetland areas of one acre (or smaller, if adjacent to a body of water or of special significance), in order to ensure the continued protection of wetlands that were previously regulated by the federal government. This legislation passed the Assembly, but the Senate has not yet taken action. In the past 15 years, bond act proposals have been put before New York State voters with varying success. In 1996, voters approved the “Clean Water/Clean Air Bond Act” to spend $1.75 billion for environmental projects including environmental restoration, safe drinking water and air quality. The $3.8 billion “Transportation Infrastructure Bond Act of 2000” was rejected by voters, but the $2.9 billion “Rebuild and Renew New York Transportation Bond Act of 2005” for the purpose of improving, enhancing, preserving and restoring the quality of the State’s transportation infrastructure was approved. It has been suggested that a new $5 billion “Clean Water, Clean Air & Green Jobs Bond Act” proposal should be submitted to voters this November. The purpose of this hearing, held May 27th in Albany, was to solicit input on the Bond Act proposal (A.8810 Sweeney). Studies conducted by the United States Centers for Disease Control have found that young children are more susceptible to Bisphenol A (BPA). Other scientific studies have concluded that BPA is an endocrine disrupter that can have negative health consequences, including the early onset of puberty. This legislation (A.6919-B Englebright) would prohibit the sale of the following products for children three and under containing BPA: beginning December 1, 2010, child care products including bottles, pacifiers and sippy cups; beginning December 1, 2011, toys; and beginning December 1, 2012, food and beverage containers. Beverage container manufacturers would be permitted to seek a one-year waiver if the Department of Environmental Conservation determines that there are no safe Bisphenol A alternatives. This legislation passed the Assembly, but the Senate has not yet taken action. In 2004, the Legislature banned the use of two types of brominated flame retardants. This legislation (A.7573 Sweeney) would prohibit the use of a third type, decabrominated diphenyl ether (decaBDE), in certain electronic equipment, mattresses and textiles. Research has indicated that exposure to decaBDE can cause permanent neurological and developmental damage including deficits in learning,memory and hearing, as well as changes in behavior, and delays in sensory-motor development. This legislation passed the Assembly, but the Senate has not yet taken action. When number two home heating oil is burned, sulfur dioxide, a known greenhouse gas, is released into the atmosphere. Estimates have shown that reducing the sulfur content of home heating oil is an important and critical step in curbing greenhouse gas emissions. Exhaust particles formed by using home heating oil can exacerbate allergies, trigger asthma attacks, decrease lung function, cause heart attacks and shorten life expectancy. This legislation (A.8642 Sweeney) would prohibit the use of number two heating oil with a sulfur content in excess of 15 parts per million in residential, commercial or industrial heating after July 1, 2011, and would authorize the Governor to temporarily suspend this requirement by Executive Order, upon a determination by the New York State Energy and Research Development Authority that there is an insufficient supply of the other fuel. This legislation passed the Assembly, but the Senate has not yet taken action. Residential energy efficiency programs help to decrease local and statewide electricity and heating fuel demand and reduce harmful impacts by reducing emissions and contributions to climate change. In the Town of Babylon, which established a home energy efficiency program in 2008, testing showed that participating houses were, on average, nearly 30 percent more energy efficient. This reduces by 28 percent the carbon dioxide that would have been emitted without program investments.This legislation (A.8862 Sweeney) would allow towns to include the operation of a home energy efficiency program within their refuse and garbage districts. After the inclusion of this authorization, towns would be permitted to contract for home energy audits, invest in energy conservation or efficiency improvements in homes, and arrange with homeowners and contractors to install or implement them. This legislation passed both houses and is awaiting action by the Governor. The manufacture, use and disposal of certain commodities and technologies, including cleaning products, as well as the construction of buildings and other structures may have adverse impacts on public health and the environment. Encouraging innovation and choosing the safest, most sustainable commodities, services and technologies will help to ensure a higher quality of life for present and future generations. This bill (A.7038 Sweeney) would establish a preference for the purchase of commodities, services and technologies by the State of New York that minimize potential adverse impacts on public health and the environment, and establish the Healthy and Green Procurement Coordinating Council. This legislation passed the Assembly, but the Senate has not yet taken action. On April 29th, the Committee, in conjunction with the Assembly Standing Committee on Education, held a roundtable discussion in Albany to solicit information on the use of pesticides in schools, including Assembly bills A.1617 (Zebrowski), A.1974 (Kellner), A.2299 (Englebright) and A.5848 (Brodsky). This legislation (A.5848 Brodsky) would phase out the use of pesticides on State property and require the development of State property pest management procedures. In addition, the Department of Environmental Conservation (DEC) would be required to develop a pest management plan that identifies methods for monitoring pest populations and compile a list of the least toxic pesticides before January 1, 2010. To help state agencies comply with the total pesticide phase out, DEC would be mandated to identify non-chemical pest control strategies for use after that date. This legislation passed the Assembly, but the Senate has not yet taken action. This legislation (A.7937-A Englebright) would prohibit the use of pesticides on school and day care playgrounds, athletic fields and surrounding areas unless an emergency application has been approved by the Department of Environmental Conservation, the Department of Health, the county department of health, or the school board. This legislation passed the Assembly, but the Senate has not yet taken action. This legislation (A.8785 Zebrowski) would require the Department of Environmental Conservation, in consultation with the Commissioners of the State Education Department and the Department of Health, to develop a model pesticide policy including physical, biological and mechanical control methods as well as integrated pest management techniques. This legislation passed the Assembly, but the Senate has not yet taken action. Assemblyman Robert Sweeney is pictured purchasing a Carbon Reduction Credit from Brian Houseal, Executive Director of the Adirondack Council. Each certificate represents the permanent retirement of three tons of carbon emissions pursuant to the Regional Greenhouse Gas Initiative (RGGI). Reducing emissions is critical to combating global warming, which accelerates as more greenhouse gases enter the atmosphere. A.3423 (Bradley)–strengthens legal standing for citizens under the State Environmental Quality Review Act–passed the Assembly. A.6363 (Sweeney)–increased protection for wetlands–passed the Assembly. A.7571 (Sweeney)–establishes a process for the statewide collection of electronic waste–passed the Assembly. 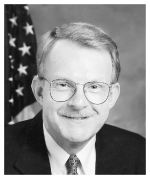 A.7572 (Sweeney)–global warming provisions–passed the Assembly. Bottle Bill Expansion–passed by the Legislature and signed by the Governor as part of the Budget process. A.6363 (Sweeney) – provides the Department of Environmental Conservation (DEC) with regulatory authority over freshwater wetlands of one acre or more in size and other wetlands of significant local importance. A.4557 (Jaffee) – establishes standards for the testing of drinking water from privately-owned wells to ensure the health and safety of New York State residents. A.6321 (Sweeney) – allocates funds raised from emission allowance auctions, associated with the Regional Greenhouse Gas Initiative (RGGI), for the support of greenhouse gas emission reduction, energy efficiency, renewable energy development and clean air technology programs. A.7017 (Gianaris) – creates the Climate Change Solutions Fund to receive proceeds from the auction of emissions allowances associated with the RGGI. A.7038 (Sweeney) – establishes minimum specifications for recycled content, waste reduction, energy efficiency, and green building design for commodities procured by State agencies and establishes the State Healthy and Green Procurement Coordinating Council. A.7573 (Sweeney) – prohibits the manufacture, processing or distribution of the brominated flame retardant decabrominated diphenyl ether (decaBDE) beginning July 1, 2010. A.7571 (Sweeney) – requires manufacturers of certain electronic equipment, including computers and televisions, to accept such equipment for recycling and reuse. A.7572 (Sweeney) – requires DEC to promulgate rules and regulations aimed at curbing greenhouse gas emissions in New York State, including the development of a statewide cap on emissions. A.1319 (Colton) – clarifies the obligations of waste haulers regarding the handling of recyclable materials and specifies the types of materials which are to be separated for recycling. A.1334 (Wright) – establishes an Urban Pesticide Board to investigate the sale and usage of industrial pesticides in urban areas. A.5848 (Brodsky) – phases out the use of pesticides on state property. A.6919-B (Englebright) – phases out the use of Bisphenol A (BPA) in certain products for children three and under.